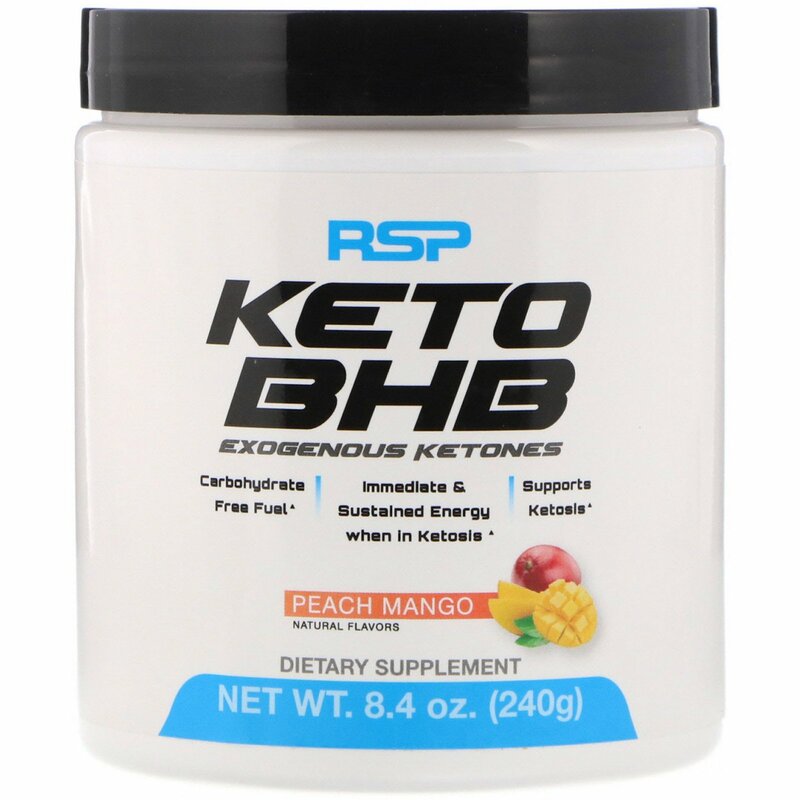 Keto BHB Powder features goBHB exogenous ketones, a unique ketone body that provides a natural direct and efficient energy source for the brain and body. 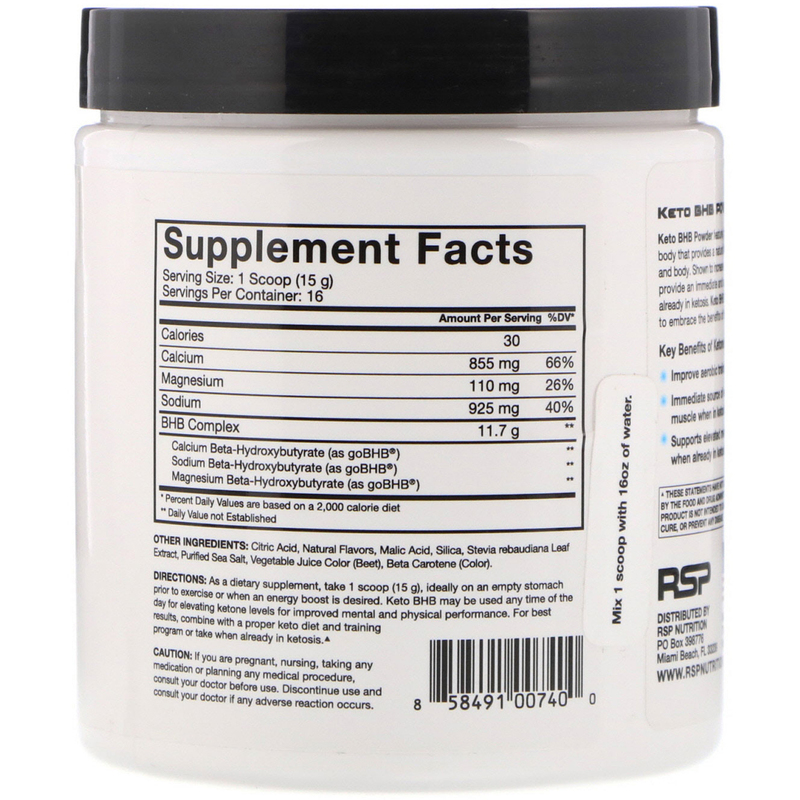 Shown to increase mental cognition, improve training capacity and provide an immediate and sustained energy source for those individuals already in ketosis. 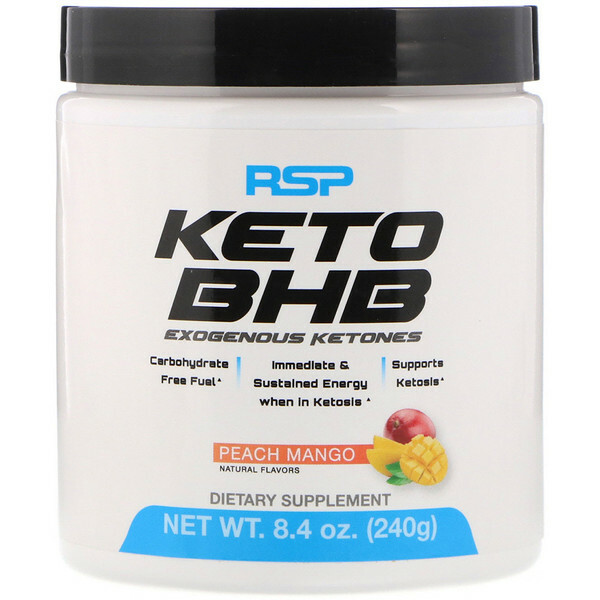 Keto BHB powder is the smart choice for those looking to embrace the benefits of the ketogenic pathway. Immediate source of energy for brain and skeletal muscle when in ketosis. As a dietary supplement, take 1 scoop (15 g), ideally on an empty stomach prior to exercise or when an energy boost is desired. Keto BHB may be used any time of the day for elevating ketone levels for improved mental and physical performance. For best results, combine with a proper keto diet and training program or take when already in ketosis. Citric acid, natural flavors, malic acid, silica, stevia rebaudiana leaf extract, puriffied sea salt, vegetable juice color (beet), beta carotene (color). If you are pregnant, nursing, taking any medication or planning any medical procedure, consult your doctor before use. Discontinue use and consult your doctor if any adverse reaction occurs.